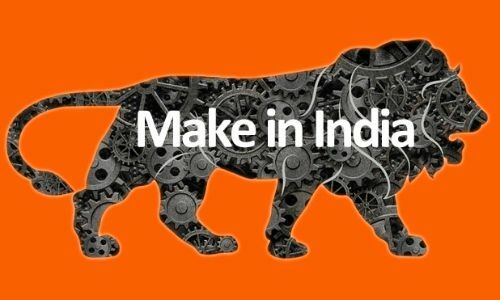 NEW DELHI: India wants to manufacture shipping containers instead of relying on imports as part of a plan aimed at promoting the ‘Make in India‘ campaign. Officials said the government will soon appoint a consultant to conduct a study into the capacity available within the country to take up container manufacturing. It will also approach foreign companies if technological expertise is required in building specialised containers. Shipping lines in India order containers of twenty feet equivalent unit (TEUs) from China, Korea and various European countries. Many also buy second hand containers from the market. Since there are only a handful of container shipping lines in the country, a container manufacturing facility has to be able to cater to international market to sustain itself. “In the short term there may be a cost disadvantage but in the long term this will pay off as trade is getting more containerised,” said Vishwas Udgirkar, senior director, Deloitte India. Container trade in India is growing at over 12% a year. The country’s largest container facility at the Jawaharlal Nehru Port has a capacity of 4 million TEUs. JNPT handles 56% of the total containers, followed by the Chennai port which handles 25% of such cargo. In 2014-15, container traffic in India’s 12 major ports grew 6.8% over that in the previous year. “There are many companies in the public sector which have idle capacity and can get into these new areas of manufacturing for their own and country’s benefit,” said a senior government official. Moving trade to containers is considered to have various advantages such as safety of cargo against damage and theft. It provides better space utilisation of the ship, leading to lowering of cost. It also gives way to carrying out multi-modal transportation since a container can be moved as easily from ship to truck or rail. Besides, as India plans to create trans-shipment hubs on its coastline, the movement of all such cargo will be done on containers. “It is good that we want to move as much manufacturing to India as we can but we should examine the underlying economics of doing so. Volumes for containers need to catch up for anyone to set up a facility,” said Hemant Bhattbhatt, chief executive officer, HMSA consultancy services LLP.